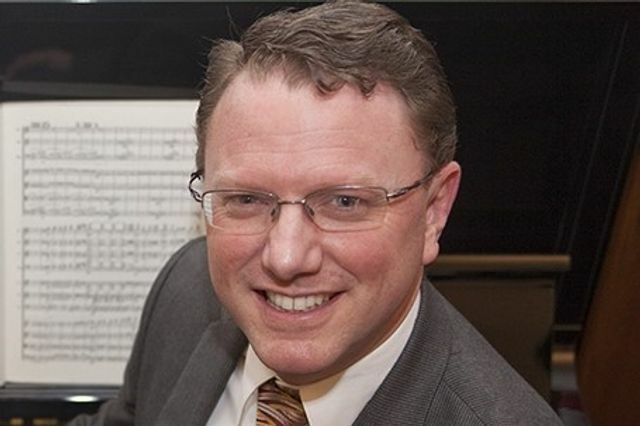 Matthew Shaftel, Ph.D., has been appointed dean for the Westminster College of the Arts. Shaftel will join the Rider on July 1, 2015. Shaftel comes to Rider from Florida State University, where he served in a number of progressively responsible roles including his most recent assignments as associate vice president for Academic Affairs, director of general education, and associate dean of undergraduate studies. While at Florida State, Shaftel was responsible for an aggressive agenda of transforming the undergraduate experience, reengaging faculty, supporting the entrepreneurial university and student career and graduate school success, revitalizing distance education, and ensuring effectiveness and efficiency. Shaftel has been recognized numerous times for excellence in music and teaching. He was Florida State’s nominee for the Carnegie Foundation for the Advancement of Teaching’s U.S. Professors of the Year program and a Distinguished Faculty Initiate at the National Society of Collegiate Scholars. He received the 2013 Florida State University’s Distinguished University Teacher award, the highest teaching honor offered to faculty at Florida State, and the Outstanding Aural-Pedagogue Award from the Journal of Music Theory in 2013, among many other awards. He was also a Grammy Music Educator Award Quarter finalist in 2013. Classically trained in music theory and as a vocalist, Shaftel earned his bachelor’s in music with educator certification, a M.Phil. in music theory and a doctorate in music theory, all from Yale University. His voice training included study at Yale, the Aspen Opera Theatre Center and the Tanglewood Music Center. With a career that includes numerous published books, articles, invited articles and book chapters, Shaftel has also continued his research productivity while maintaining his administrative and teaching roles. In the last year alone, Shaftel published his most recent textbook, a new critical edition of select Webern piano works and two peer-reviewed articles. He also gave two national conference papers. In addition, he ran an international workshop at the Royal Conservatory of Music and signed a contract with the University of Illinois Press for an edited collection of essays on Cole Porter. Off campus, Shaftel found time to serve as director of the Asolo Song Festival and Institute for Song Interpretation in Italy. He was an editor of a national journal and recently completed a term as editor-in-chief of one of the premier journals in the field of music theory. Finally, befitting of the Westminster experience, Shaftel has served for almost 20 years as a church music director, first in Connecticut and more recently, at Good Shepherd Catholic Church in Tallahassee, Fla.
Rider University is a private, coeducational and nonsectarian university located chiefly in the Lawrenceville section of Lawrence Township in Mercer County, New Jersey. It consists of five academic units: the College of Business Administration, the College of Liberal Arts, Education and Sciences, the College of Continuing Studies, and the Westminster College of the Arts. In addition to regional accreditation, the undergraduate and graduate programs in business are accredited by AACSB, and the professional education graduate programs are accredited by NCATE. As of 2014, there are 5,400 undergraduate and graduate students attending.